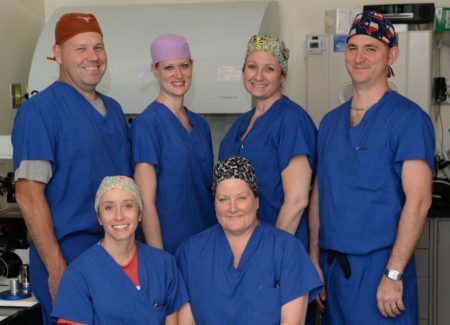 Ovation Fertility™ Lafayette provides state-of-the-art andrology, genetics and embryology laboratory services in Louisiana. Conveniently located in a respected medical center in Lafayette, Louisiana, this advanced laboratory is the newest to join Ovation Fertility’s expanding network. Home to some of the best reproductive scientists in the country, Ovation Fertility Lafayette uses the latest advanced reproductive technologies, or ART, in a renowned IVF laboratory to help patients make their dreams of parenthood come true. Ovation Fertility Lafayette is committed to advancing the field of reproductive medicine to help patients build families. The IVF laboratory provides comprehensive female and male fertility diagnostic services and the latest ART, including vitrification, genetic screening and third party reproduction. Experienced andrologists, embryologists and laboratory professionals perform these techniques to support the reproductive endocrinologists who work directly with male and female fertility patients. These talented laboratory professionals work in our CAP and CLIA certified facility, which features world-class laboratory equipment and leading-edge facilities that promote pregnancy success for patients. Ovation Fertility Lafayette is conveniently located for men and women across the state of Louisiana and Texas. Contact us to learn more about our world-class andrology, embryology and genetics services.